If you work for a rental truck company, I've got good news for you. If you are one of those people that would like to move to a different city, state or country, by all means: Go! If you don’t like your current circumstances, you are not a tree. You can move. And if an opportunity arises in a new place, especially if you are in your 20s, go for it. But just a word of caution from someone who has already moved halfway across the country: moving to a new location does not solve your problems. On the contrary, when you move to a new place the real problem (or problems) becomes more clear and pronounced. Why? Because you can’t escape from yourself. And most of the time, when you’re the only common denominator left, you realize the real problem wasn’t the place you lived in -- it was you. That’s what happened when I moved to San Antonio about two years ago. I moved to a city where I didn’t know a soul. I just got a job that I honestly didn’t feel totally qualified for. I was living on my own for the first time in my life and the only thing I really knew how to cook was mac and cheese. I felt like a penguin in the Sahara, stripped of everything I knew and loved, including family, friends, and cafe con leche. All I was left with? Me. Just me and God, who I knew arranged for me to be sitting in a small apartment in San Antonio just a week after graduating from college, wondering What on earth am I doing here? A new location does not create a new you. All the insecurities you had in Miami, you’ll have in San Antonio. All the problems you had with trusting others in New York, that distrust will follow you to London. All the loneliness you felt in Seattle won’t change once you pack up your bags and move to Los Angeles. Make no mistake, I had my problems with Miami and sometimes I thought about what it would be like to have a fresh start in a new city. When the opportunity came, I took it. And the first few months were difficult, with God revealing my dependence on many other things for comfort and happiness instead of Him. Moving to a new city and being on my own was a crash course on how to do life, and I wouldn’t trade what I learned during my experience for anything. My situation only got better when I made an intentional effort to trust God with everything, becoming increasingly dependent on Him as I took steps forward in faith. The apostle Paul said in Philippians 4:11-13 that he learned how to be content in any circumstance he found himself in. Whether he had much or had little — wherever he found himself — he discovered that the secret to being content was becoming more and more dependent on the Lord, who gave him strength. Maybe you are being called to move to a new place. Maybe you want to move, but that’s just not in the cards for you right now. In either case, you can either be miserable where you are or look for ways to make the best of your situation. The choice is yours. Instead of waiting for a change of setting to make things better, start making changes where you are now. 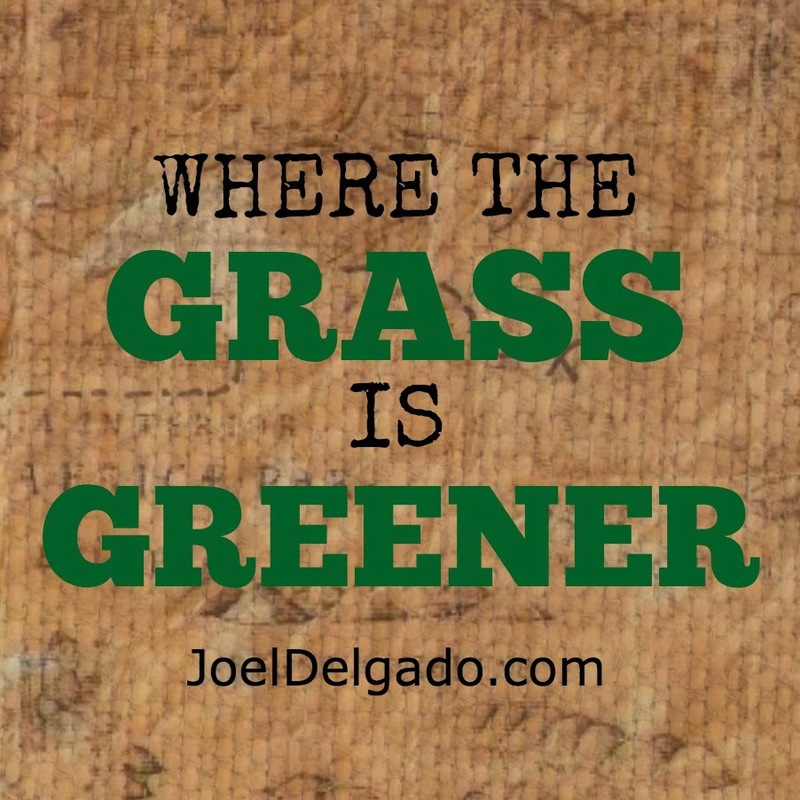 Because as the old saying goes, the grass isn't greener on the other side of the fence or the border — it's wherever you water it.